Full of passion and turmoil, this latest production of Emile Zola's classic story is typically French. In fact, the stage almost looks like a scene out of a Renoir masterpiece while atmospheric cello and violin string music cuts between every scene in a dramatic fashion. 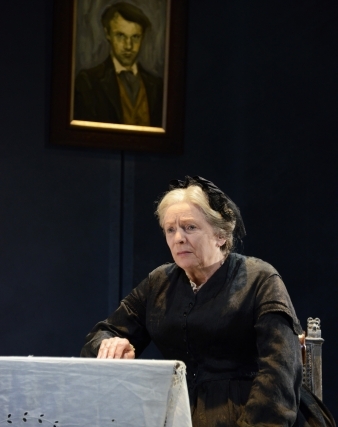 For those of you not familiar with the story, it is a tragedy that follows the fated life of young, beautiful Therese Raquin as desire leads her into murder and madness. It's a play of very differing halves. Up to the interval, it's a relatively light-hearted affair as our whimsical heroine is a passenger in her own life, married off to her hypochondriac cousin and trapped in a loveless marriage until charmer Laurent appears and gets the blood pumping in her veins. It's pretty hot stuff when they get together and leaves little to the imagination in a hot under the collar bedroom scene, but it's important to show their passion, especially as it will contrast so strongly with the couple in the future. After the interval, the performance takes a much darker turn and becomes a thriller come ghost story. It was during a stop-off at Malvern Theatres that I caught this play, a Theatre Royal Bath Production commissioned by Roundabout Theatre Company in New York. It has a stellar cast including Alison Steadman (Gavin & Stacey, Abigail's Party) as Therese's kindly mother-in-law and an impressive Pippa Nixon in the lead role. She is beguiling in the lead role with sullen anguished looks that speak a thousand words. Actor Hugh Skinner is suitably insufferable and spoilt as Therese's husband Camille, who she plans to kill off with her hunky lover Laurent, played by Kieran Bew. As the play moves on, the tension mounts and there even moments of suspense that would make Alfred Hitchcock proud. Part of the success of this production is the strong team behind it. Jonathan Munby directs while multi award-winning writer Helen Edmundson has created the script. She has already received acclaim for her work with the Royal Shakespeare Company (RSC), the National Theatre and Shared Experience. 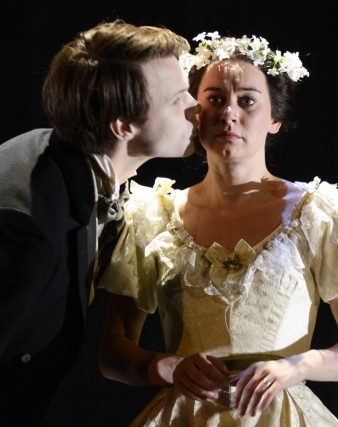 Meanwhile leading lady Pippa Nixon has gained praise for performances for the RSC in roles including Titania in Nancy Meckler's A Midsummer Night's Dream. It has all the elements to make this a riveting event at the theatre - a wonderfully penned story of passion and desire, a fine cast and an admirable crew behind the scenes. It's one you won't want to miss. Tickets cost £17.36-£31.92 from the Malvern Theatres website.